Last weekend my travel took me to the picturesque spa town of Harrogate, as I was taking part in a magic convention at the stunning Harrogate theatre! My weekend was exstremly busy and full to the brim with magic, but I did manage to sneak out and take a trip the lush. 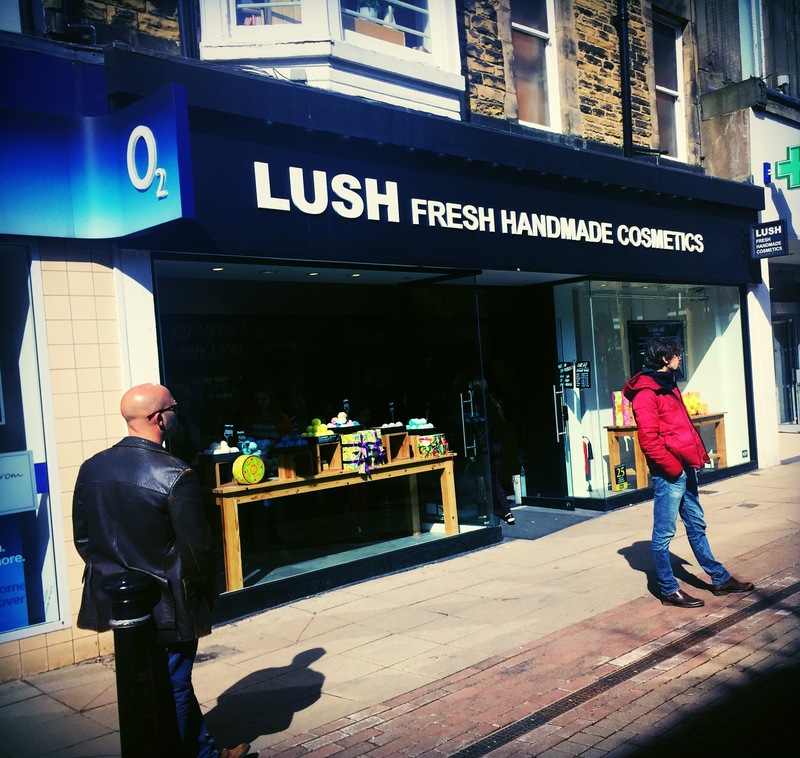 The lush store in Harrogate is very in fitting with the rest of the town. 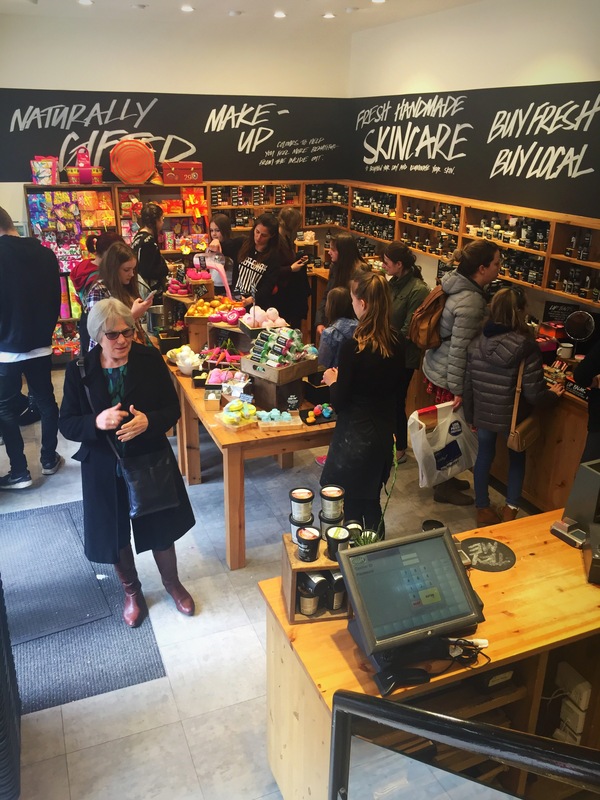 This little lush store is split over two floor and expels a cosy, cute and friendly atmosphere as soon as you walk through the door. As soon as I entered the store I was greeted by the lovely Jo, who very kindly gave me a tour of the shop and gave me demonstrations of many products. The downstairs floor of the store if full to the brim with bath bombs and bubble bars, although the store is small the staff have very cleverly used stainless steel pots as a way to demonstrate products. This just goes to show how clever lush are at recycling and a utilising every day object. There was also a vast array of skincare products including the very famous fresh face mask. Jo spoke to me about my skin type and them explained the different qualities each face mask contains. I was really drawn in by the ‘Don’t look at me’ face mask. 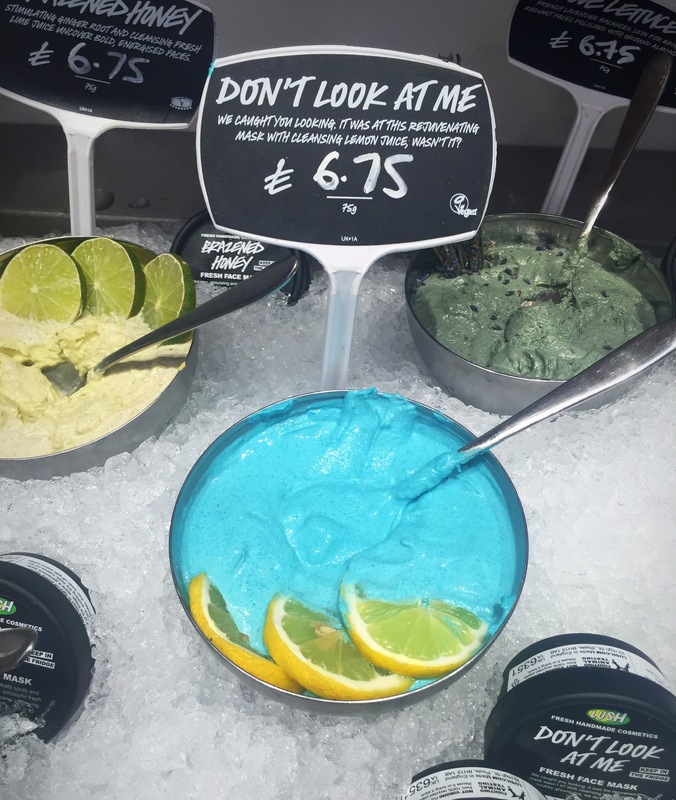 This face mask hosts a very vivid bubblegum blue colour and I just couldn’t keep my eyes off it. Jo very kindly let me try this product on my hand and showed me how the inclusion of ground white rice allowed this face mask to be super exfoliating. 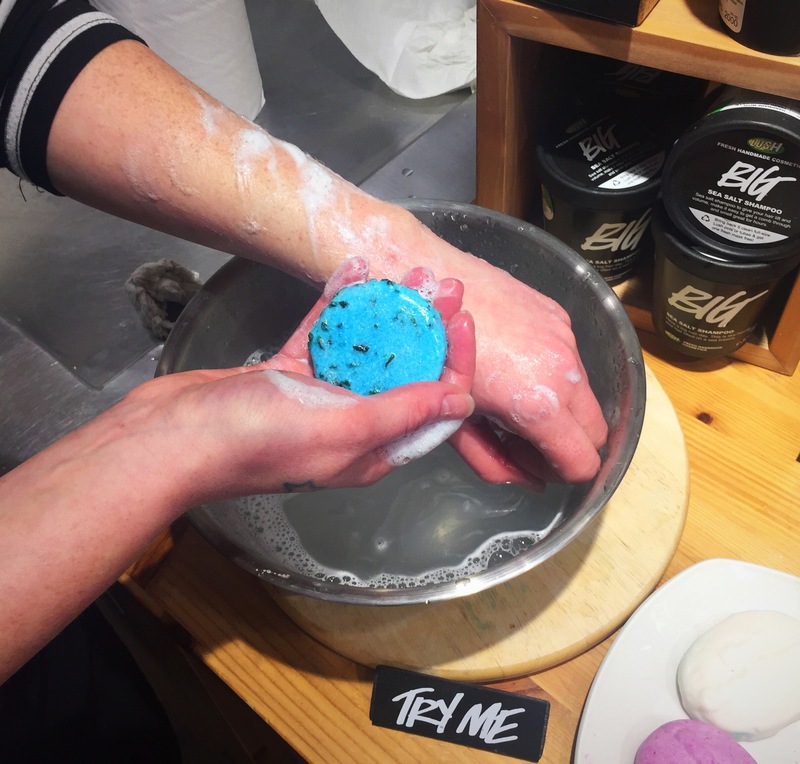 One thing I love about lush stores is how knowledgable the staff are, It was also explained to me that lush only use natural ingredients as exfoliants, as micro beads that are contained in many other exfoliating products are exstremly dangerous to the environment. 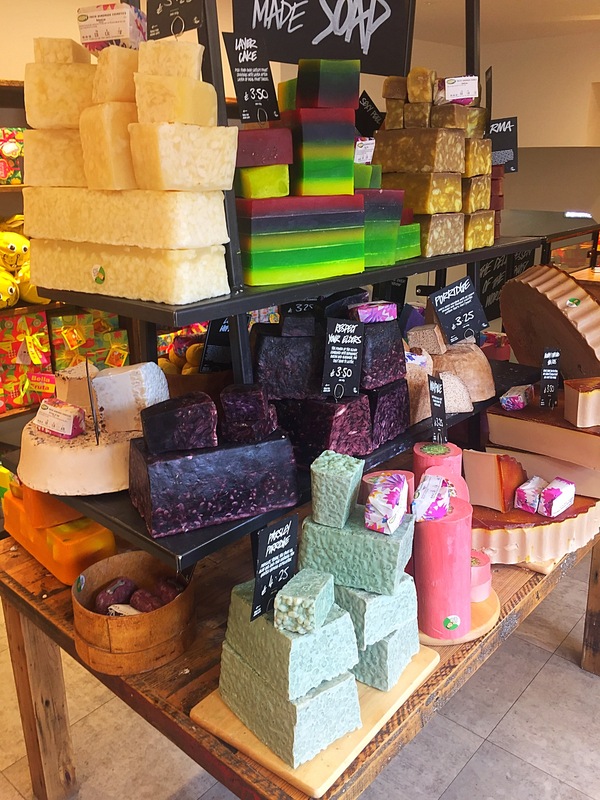 After exploring the ground floor I ventured to the second floor where I found a very visually pleasing display of soaps as well as haircare, shower products and gift sets. My particular interest at the moment is the lush haircare range. I have only just recently realised how incredible this range is and have been taking the time to try lots of the range in order to find the products best suited to my hair. 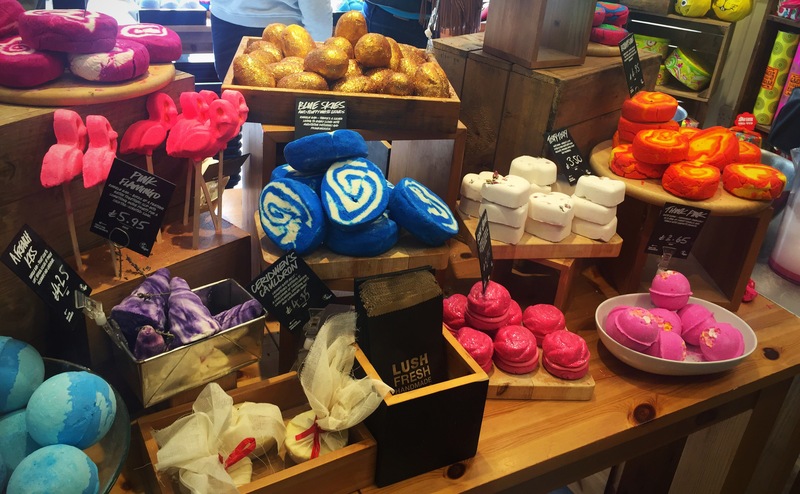 Overall I had a lovely time visiting lush Harrogate. The store although small is full of everything you could every need. The staff are also super friendly and go above and beyond the call of duty to make your experience in there store one you won’t forget. I would like to say thank you to everyone for making me smile and a massive thank you to Jo for sharing her vast knowledge with me. If your in the area or even fancy a little day out I really recommend having a trip to Harrogate (it’s so beautiful) and of course visiting this store!